The School of Music recently awarded their annual Curtain Call Award to 2002 commercial music alumnus Jonathon Long. Long majored in commercial piano, with an emphasis on music technology and has gone on to continue to use his talents in the music industry. 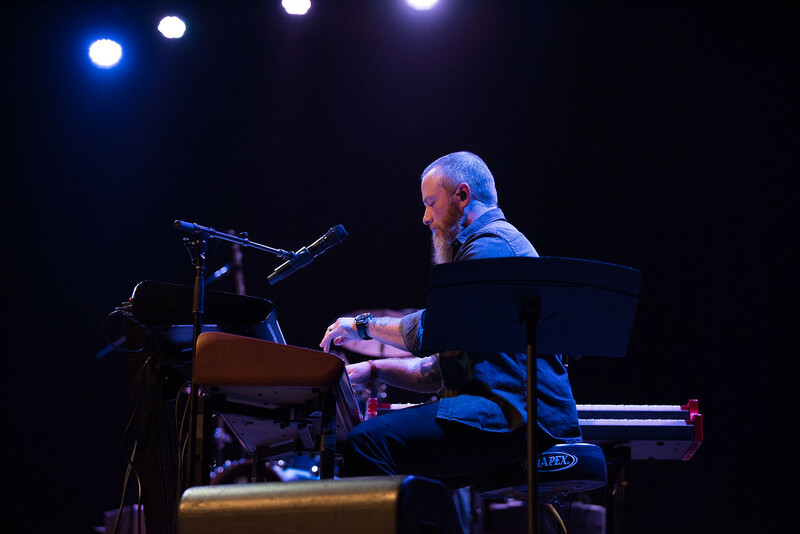 Since graduating from Belmont, Long has seen success as a keyboardist for several big names in country music including Billy Currington, Jamie O’Neal and Sara Evans, whom he toured with for seven years. Most notably, Long has been working with Lady Antebellum since 2006, both playing with them and working as their music director. Long has also performed at The Grammy’s and CMA and ACM award shows, among others. Besides piano and keyboard, Long has experience playing B3 organ, harmonica, accordion and percussion. Sara Evans also made an appearance to support Long. surprise appearances and sang on a few of the songs Long performed. Belmont University’s School of Music created the Curtain Call Award in 1995 to honor an alumni who has had success in the commercial music field. The Curtain Call Award has been awarded to alumni in a variety of fields in the music industry including songwriters, instrumentalists, vocalists and music industry leaders.